From the menu bar, select 'Safety Network'. Click on the 'Add Person' icon in the upper right position on your screen. Then either enter your contacts email address or phone number and press "proceed" (as seen below), and they will be invited into your Safety NETwork. If your contact doesn't have EmergencMe you can still add them and they will be prompted to quickly and easily download the application. 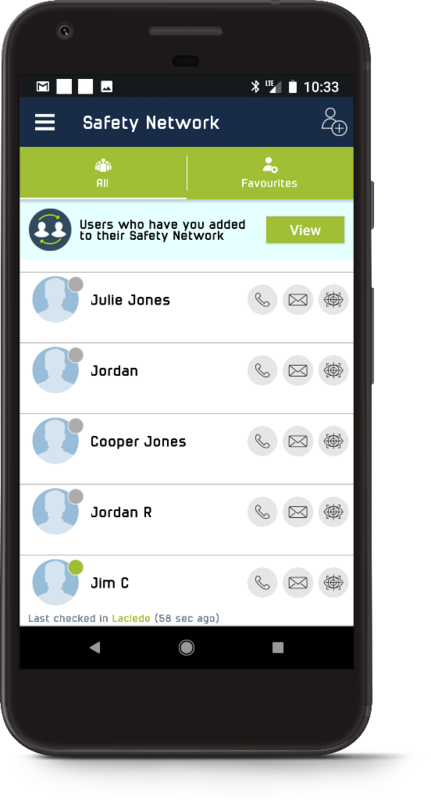 When they accept it, their contact information will show up in your safety network where you can quickly identify who may be in the best position to assist you. They can invite you to their network as well so be on the lookout for the invite.